Nokia’s fall from grace as one of the market-leading mobile handset manufacturers seemingly hasn’t led the Finnish phone company to reign in any of its far-reaching aspirations in innovation. The company has recently applied for the most unlikely of patents: tattoos that can sense when your mobile phone is ringing or has received a text message, literally ‘vibrating’ to let the handset’s owner know to pick it up. Don’t expect your local tattoo parlour to be on Nokia’s calling list though, the patent – spotted by website Unwired View - details how an induction coil could be used on phones in order to interact with the ‘ferromagnetic’ material that can be tattooed, stamped or even sprayed on a user’s skin. The material is said to be “capable of detecting a magnetic field and transferring a perceivable stimulus to the skin”, essentially creating the ‘vibrating tattoo’. According to Nokia’s patent filing, it suggests a range of vibrations (both in style and strength) could be used to signal varying alerts; such as for text messages, calls or a low battery warning. The company also proposes how a user might be likely to have to literally scratch their skin in order to dismiss the alert. As ever, we have to stress that filing a patent doesn't actually mean the company is working on the technology to its fullest potential or indeed has plans to roll it out commercially. 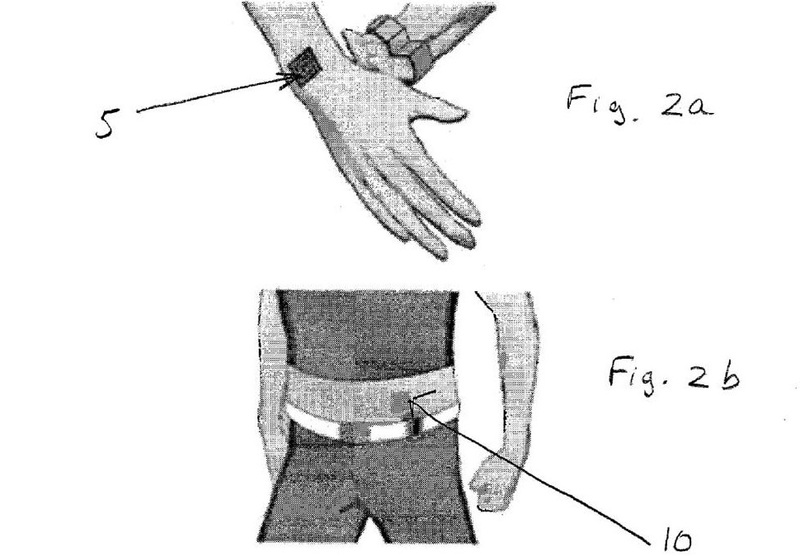 Still, US patent application number 20120062371 is one to keep a close keen eye on for the future.